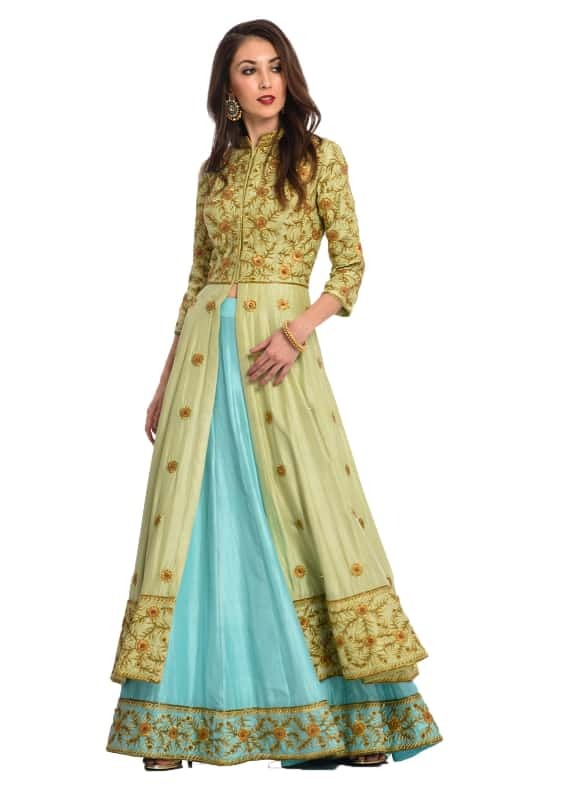 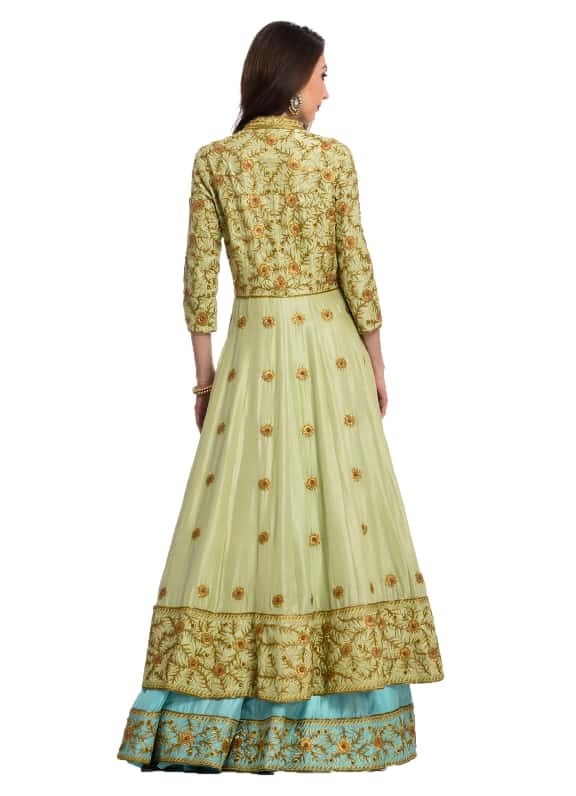 This jacket anarkali features dabka, cutdana and sequin work on the bodice and comes with an aqua skirt. 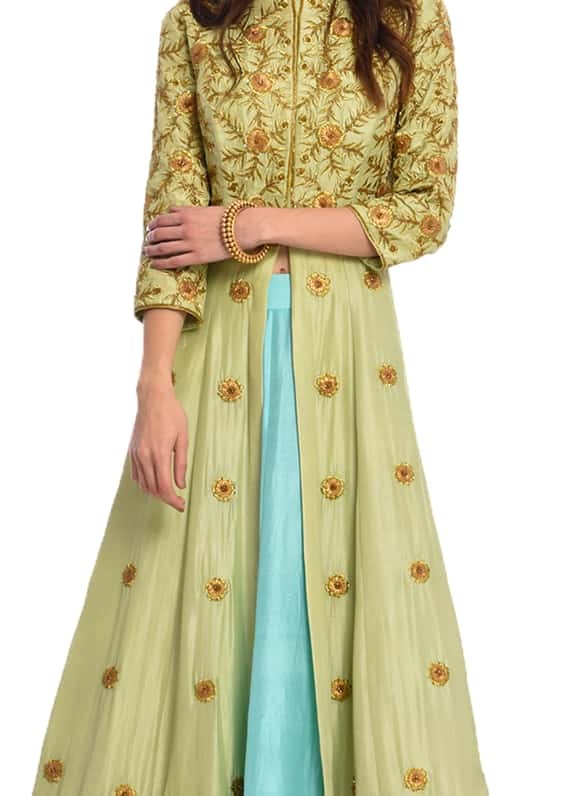 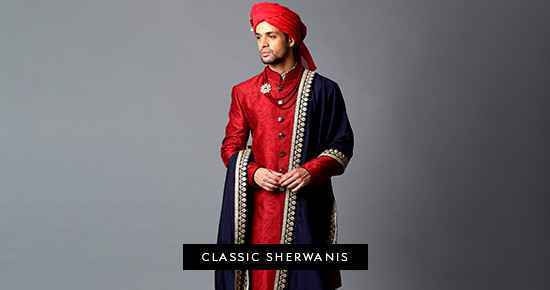 Adorn a regal look for a day wedding. 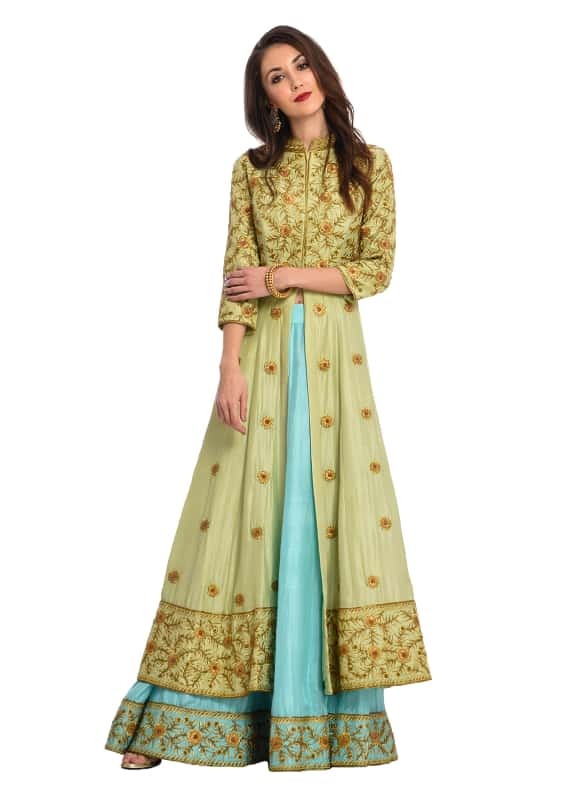 Pair this look with earrings by Amrapali and a metallic clutch by Alana.